I’m excited to be guest posting on the blog of Mommy blogger Julie Hoag this week. Julie blogs about motherhood, family, and faith with a focus on moms raising kids ages birth–13. 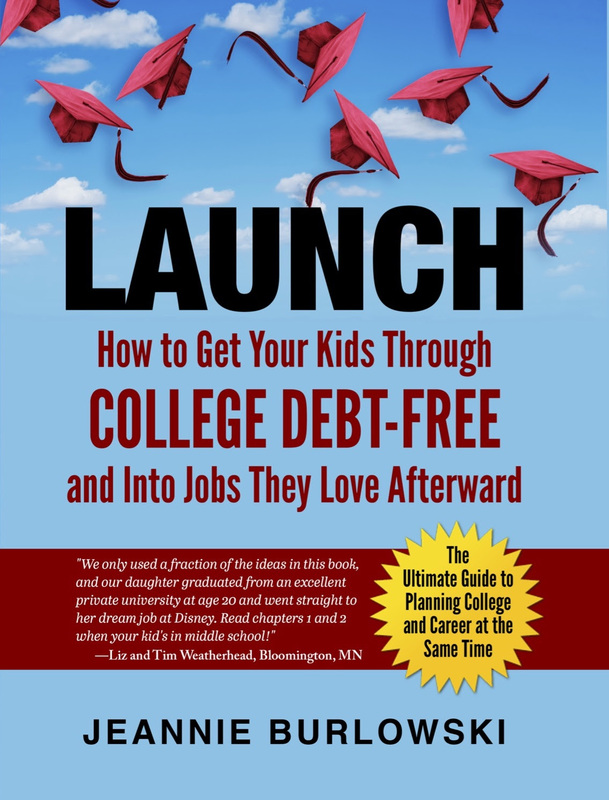 When Julie asked me what her moms need to know about setting kids up to graduate college debt-free, I immediately thought of today’s subject. Read on and I’ll give you an idea that works for any family with any age kids, but it works better the earlier you start it. Be sure to stop by and visit Julie Hoag on Facebook, Twitter, Pinterest, and Instagram, and on her website, JulieHoagWriter.com. Here’s the guest post I wrote for Julie. What happens in the minute after a toddler first builds a block tower, and then knocks it over? Her mom starts thinking about college. Will this one be an engineer? A construction manager? A real estate developer? How will we pay for the education necessary to get there, especially when our current budget doesn’t allow us to save for college at all? One brilliant answer is to start very early on with just one non-saving strategy. In my work as an academic strategist, author, and speaker, one of the first debt-free college strategies I share with parents is the free college savings program at UPromise.com. Why? Because the earlier you start it, the better it works. Before I tell you about UPromise, I must let you know: I get nothing for sharing this resource with you. I have no affiliate agreement with UPromise — nothing. I just think it’s one of the best ways in the world to save for college (or pay off your own student loans early!) without taking one dime out of a parent or student pocket. You’re going to buy necessities like groceries and drug store items anyway, right? Sign up for a free account at UPromise.com, register your grocery and drug store loyalty cards there, and without your doing another thing a percentage of every dollar you spend at these stores will be funneled into a special account that you’ll be able to use for any student’s college savings, current college-related expenses, or payment of Sallie Mae® student loans. Over 21,000 grocery and drug stores participate, and no credit card is required. 1. Transfer the funds into a Sallie Mae® “High Yield” Savings Account that features no minimum balance, no monthly fees, a 10% annual match by UPromise on UPromise earnings, and — if you choose — automatic monthly transfers from your UPromise account (subject to $10 minimum transfer). This can be a good option if you want the funds to earn some small amount of interest, but you need them to be available for quick withdrawal. 2. Invest your Upromise.com earnings directly into any student’s tax-deferred 529 college savings plan. 3. Pay down any student’s existing Sallie Mae student loans using Promise Loan Link®, a free service that lets you automatically transfer $10 or more each month from your Promise account directly to the payment of eligible Sallie Mae® student loans. 4. Request a check that can be invested for a student elsewhere, or used by any student you choose for college expenses. Your childless relatives can save for your kids’ college using UPromise too. Think about your uncle, the childless gourmet cook who travels extensively and goes online to buy all his clothes, electronics, contact lenses, office supplies, Apple® products, and cruise vacations, as well as the $70.00 specially compounded diethylstilbesterol (DES) urinary incontinence medication for his dog. Even though he has no college-bound kids and so no need to save for college for his own family, this uncle can create a UPromise account too. When he does, a percentage of every dollar he spends with UPromise merchants (including the fortune he’s spending at 1-800-PET-MEDS) will be funneled directly into a UPromise account in his name. At any time he can request that the funds in his UPromise account be distributed to students he wants to support. If he chooses to, he can transfer a percentage of his UPromise account into the college savings plan of one niece, help pay off another niece’s Sallie Mae® student loans — he can even make a college tuition payment for some kid he just met at church. If you suggest UPromise to a relative like this, don’t worry that it’ll look like you’re asking him for money. UPromise costs him nothing, and when the time comes for him to give away the contents of his UPromise account, it’ll be completely up to him whom he wants to give it to. IF YOU USE UPROMISE, DO WATCH OUT FOR THIS ONE THING. Upromise has a credit card that in some cases may add a small amount of additional cash to your Upromise account with each completed transaction. I don’t recommend signing up for this credit card, since it’s my mission to steer families away from credit card debt, not toward it. Have you got a child who’s not yet in kindergarten? See one more helpful post I wrote especially for you, here. Do you have friends who are parenting kids ages birth to 12? 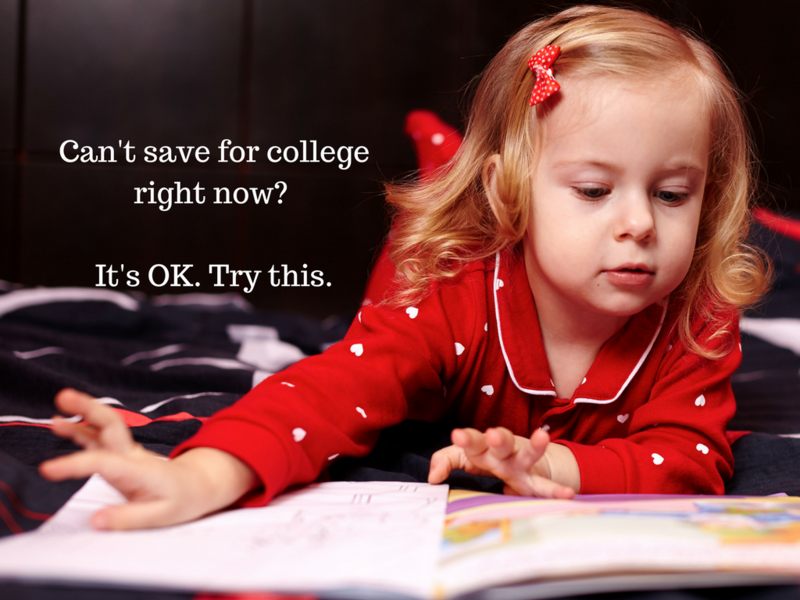 Every family needs to be doing something to save for college. SHARE this post on Facebook, Twitter, and Linkedin now. What about you? What ideas do you have for getting a jumpstart on the “save for college” front, even if you can’t spare any cash right now? Comment below or LIKE Jeannie Burlowski Author on Facebook, find this post on that page, and let’s talk about it there.